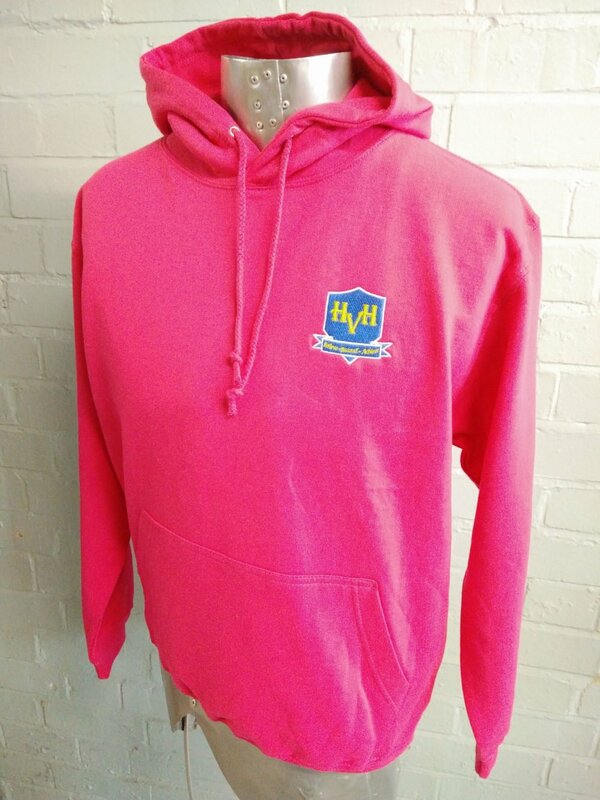 Bright pink Leavers Hoodies for HVH. 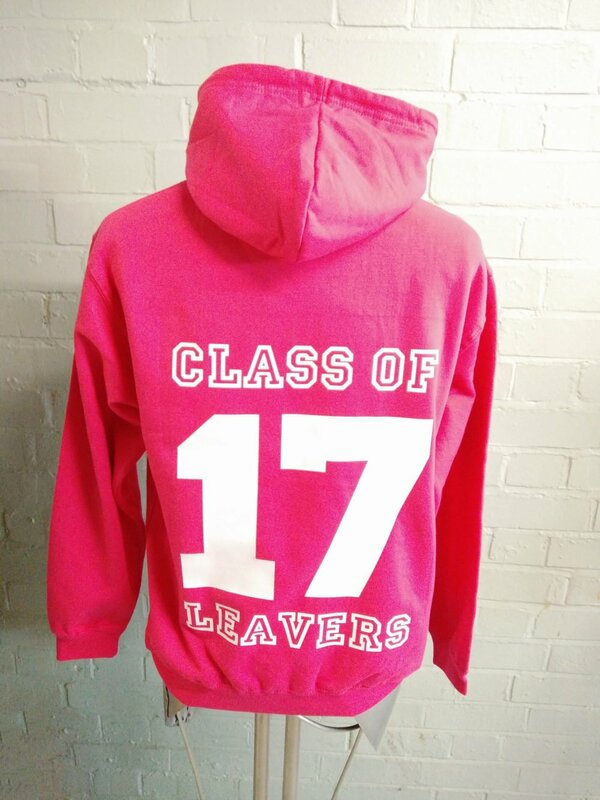 Looking bright with Leavers print in white on the back. 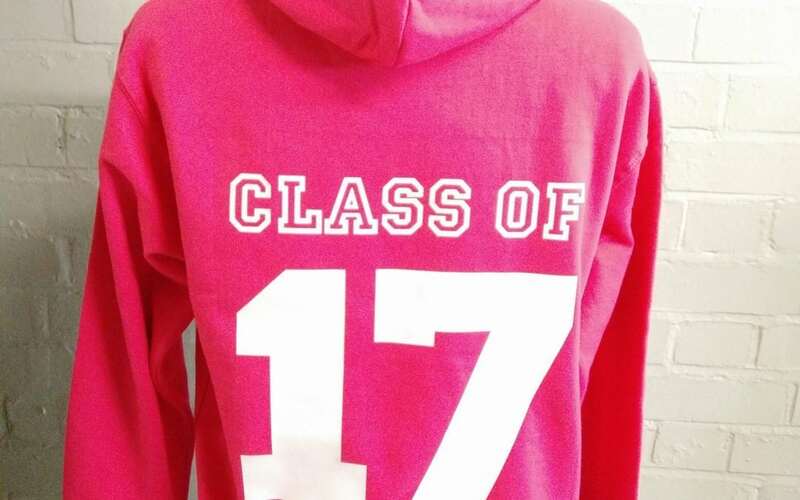 Front has custom embroidered logo on the front in full colour. Custom for the client.